Benjamin’s absence was experienced by the inhabitants of St-Gilles-Croix-de-Vie as the end of the Boatyard. Admittedly, our father probably did not have his force of character, being rather “taciturn”, as was often said of one of our greatest sailors, but father had the gift of drawing. 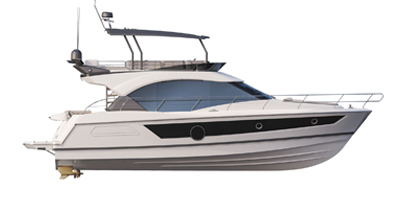 We wanted to develop the recreational fishing boat. Our customers had learned to sail and they wanted larger boats, comfort on board, and to see the sea from the saloon. There is nothing harder than beginning a new range. My brother André listened to us and I can still see him, after months of thought, when we were visiting a boat show in Germany, drawing an innovative boat on a paper napkin in the restaurant and saying “there’s your boat!” This would be the Evasion 32, followed by the later Evasion 37 and Evasion 28 versions. It was in this happy, affectionate and yet oh so professional atmosphere that the First 35 S 5 would be born. I could write pages of anecdotes and emotions related to this period which brought back joie de vivre and a desire to surpass ourselves, the greatest moment of which was when it was shown to the public at the Paris Boat Show in 1987. What a shock! One out of two customers adored it, one customer out of two hated it. This was not a problem, the production was a success and Starck not only helped us progress, but the whole profession. He also discovered a world in which he is now the designer of one of the greatest yachts on this earth! Always mindful of promoting sailing, this would be the year of the first Figaro Class. 1 The Figaro race - formerly the Course de l’Aurore – traditionally raced on prototypes was to convert to one-designs. We could not be absent from this race, which we had been following since the First was marketed, a race which Michel Malinovsky won the day the boat was produced, bringing it such a great reputation. It would be a tough fight. The administrative services in Paris had decided to restructure the sailing industry. In this restructuring, “they” defined our future, but what right was it of theirs? I became aware of this after a loyal friend confided in me at the Paris Boat Show, but it was nearly too late. I was completely outraged! I immediately returned to Vendée, isolated myself to think things through better and, once again, I called my faithful solicitor. Their maneuvers were sufficiently crude to enable us to attack. So we attacked. The tribunal gave us an extra week to hand in our offer. In short, the hearing arrived and, in their wisdom, the Court of La Roche-sur-Yon preferred our project. I was shattered when I finally went home and I only remember the smiling faces of my two children, deprived of their mother once again during these Christmas festivities and who, thanks to their loyal nanny, Joselyne, were happily waiting for me with a bunch of roses.